The below explanation is taken from the MCC Laws of Cricket, which is universally applied across all countries and cultures. Any action which is seen to abuse this spirit causes injury to the game itself. The major responsibility for ensuring the spirit of fair play rests with the captains. 1. There are two Laws which place the responsibility for the team's conduct firmly on the captain. 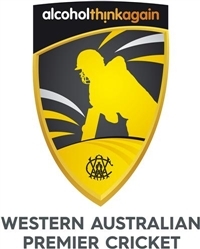 In the event of a player failing to comply with instructions by an umpire, or criticising by word or action the decisions of an umpire, or showing dissent, or generally behaving in a manner which might bring the game into disrepute, the umpire concerned shall in the first place report the matter to the other umpire and to the player's captain, and instruct the latter to take action. Captains and umpires together set the tone for the conduct of a cricket match. Every player is expected to make an important contribution to this. The players, umpires and scorers in a game of cricket may be of either gender and the Laws apply equally to both. The use, throughout the text, of pronouns indicating the male gender is purely for brevity. Except where specifically stated otherwise, every provision of the Laws is to be read as applying to women and girls equally as to men and boys.